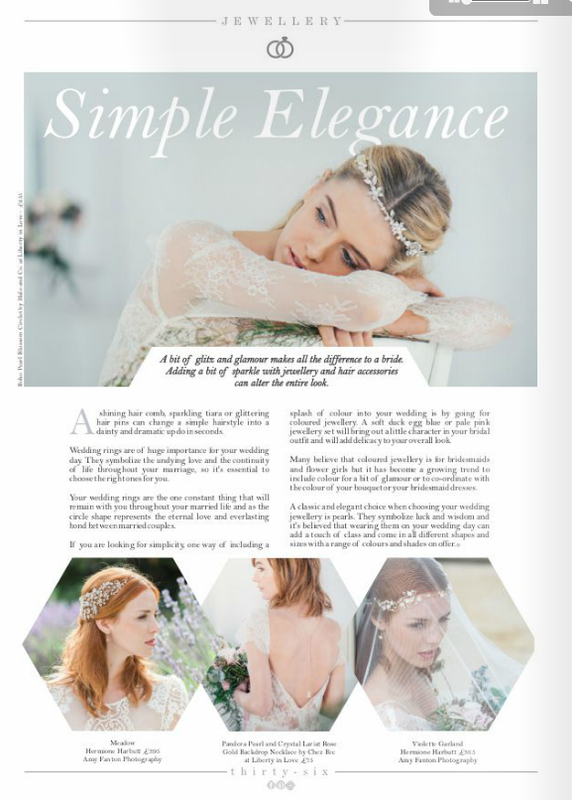 We are delighted to be featured in The Perfect Wedding Magazine for their Autumn-Winter 2016 issue. Hermione Harbutt 's lovely floral pieces Meadow and Violette Garland are pictured above. Thank you so much for the wonderful coverage!